EVENT DETAILS - Select the link/s below for more information. 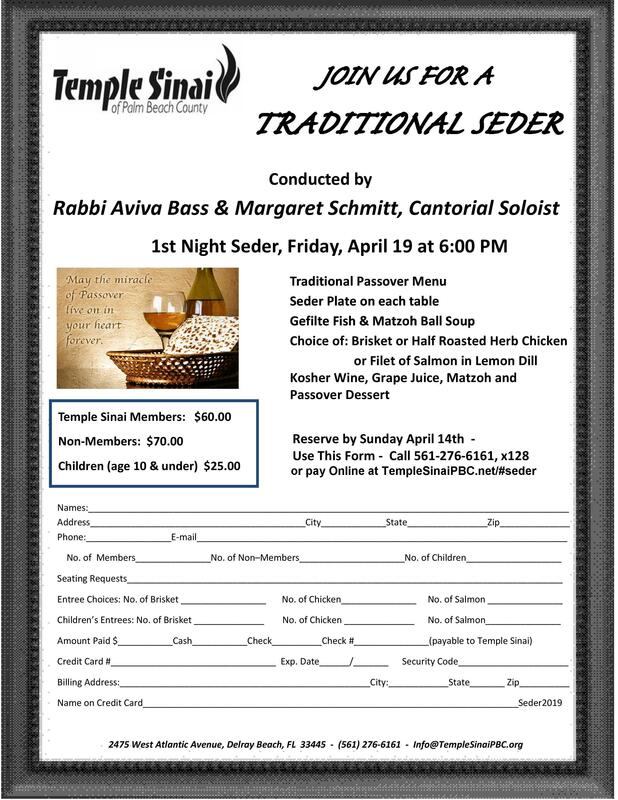 April 19th 6 PM First Night Seder. 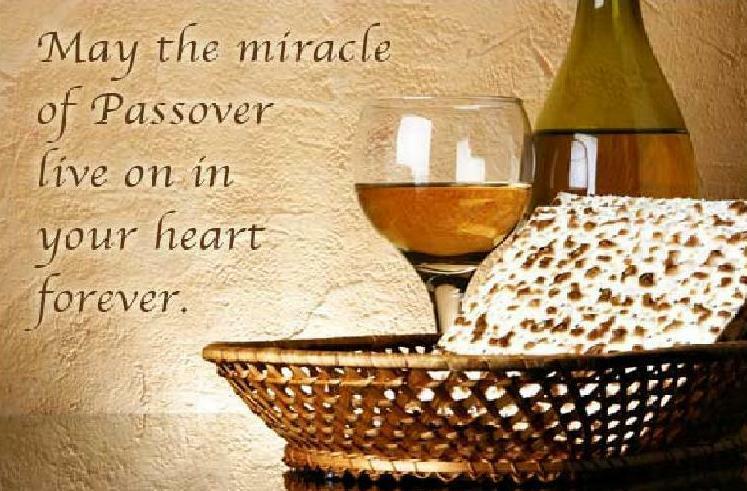 No Erev Shabbat Service. 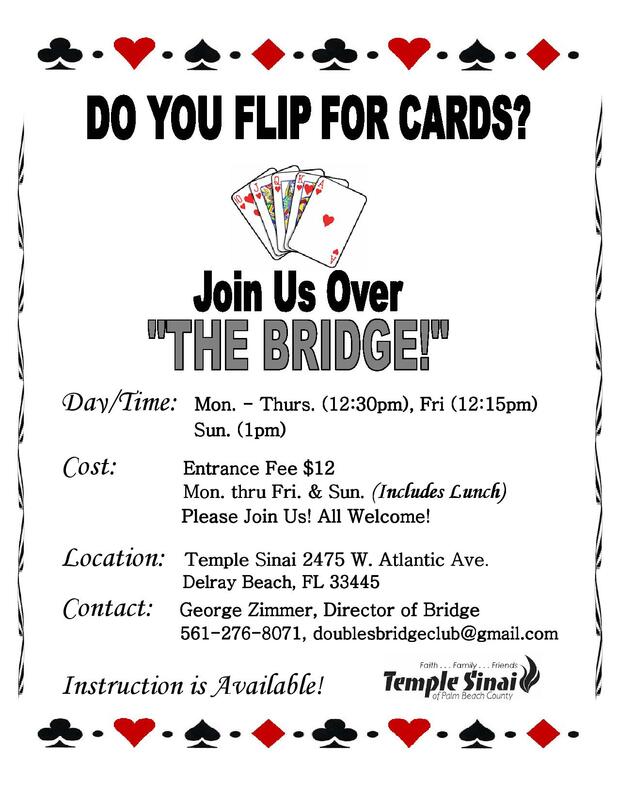 Temple Sinai is home to one of the largest, busiest and friendliest Duplicate Bridge Clubs in the area. 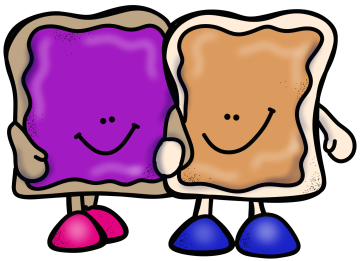 Our Director,George Zimmer, runs duplicate games every day except Shabbat and Jewish holidays, and offer regular classes at the beginner and intermediate levels, and occasional seminars on advanced topics. 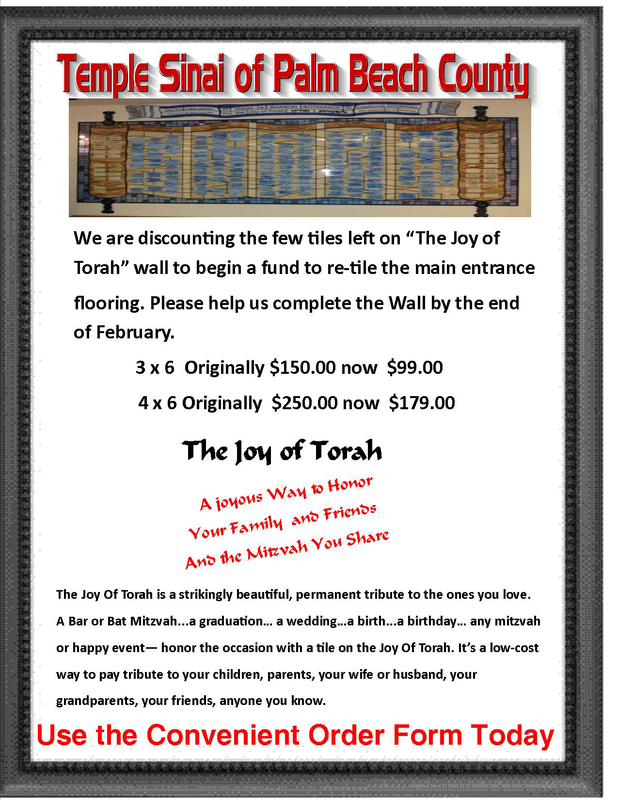 All Temple Sinai Duplicate Games are ACBL-sanctioned, Open, Stratified Pairs, and non-smoking. 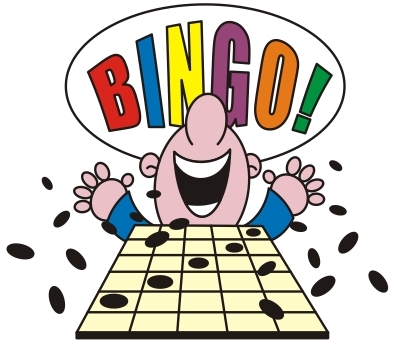 Game times: Monday-Thursday at 12:30 PM, Friday at 12:15 PM, and Sunday at 1 PM. Your daytime entry fee includes a great light lunch, so come early! On Sunday, the Big Brunch starts at noon, game at 1 PM. 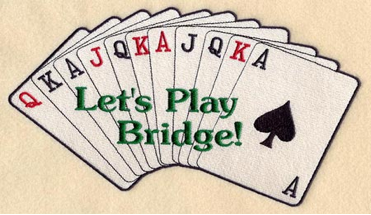 Special phone number for the Bridge Club (561) 276-8071: for reservations, if you need a partner - message machine, no call-back (unless we think it needs one).